Transits begin to form or fade immediately in the days and weeks after birth. During this delicate time critical contacts from the outer planets can occur. This article looks at the transits of the three outer planets Uranus, Neptune and Pluto and the conjunctions to their natal positions in the first two years. Transits are a popular technique and most astrologers are aware of the current planetary placements. When you know a planet’s position you can apply this knowledge to every chart for which you forecast in the next weeks. This information is transferrable which makes transits the most widely used predictive method by astrologers. Transits are powerful enough that many astrologers use only transits for predictive work and no other methods. 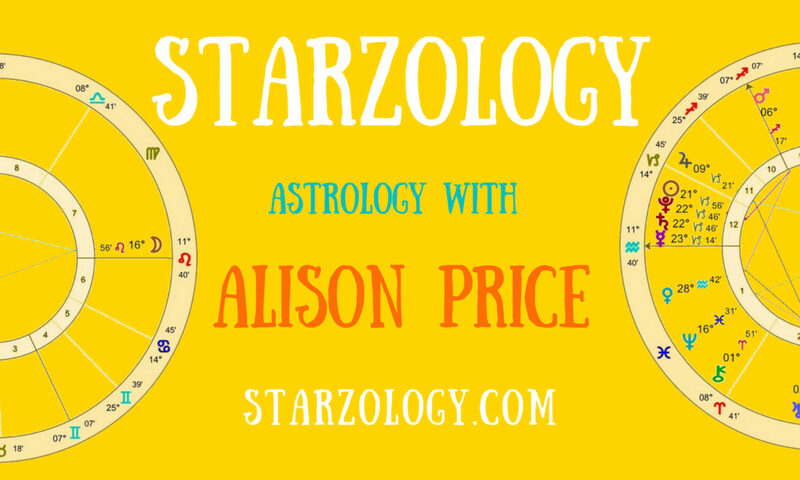 The planets are always moving but a birth chart captures a moment in time. Once a chart is cast, transits from the Moon and the faster moving planets will start to form aspects first. Then the chart will receive transits from the slower moving Mars, Jupiter and Saturn and finally the three outer planets, Uranus, Neptune and Pluto. It is only as the planets move from their radix position that they start to impact the birth chart and the child’s life. At first glance it seems there is nothing to consider from the outer planets in the first year of life because they take so long to move through the zodiac. Outer planet movement can be like watching a sapling grow, you know the young tree is alive but the progress is so slow you can’t see it happening. It is easy to dismiss transits from the outers in the first year of life, but let’s take a closer look. When you read charts for the majority of adult clients you address the usual issues of romance, work, health and family matters or other areas that have already developed during their life. They may have a job, be married or separated, have kids, be happy or not, and their life is on a well-established track. An adult knows some dreams will not be fulfilled and they accept they will never be a ballerina or an astronaut. When you read a chart for a newborn baby all possibilities are open. In an infant’s chart, no limitations are placed on their life from decisions taken in their past as they have not made any and no previous choices have been made which affect their future. Many astrologers feel that there is no point to cast charts for babies and young children as their life holds so much promise and potential that it is difficult to read the chart of one so young. This attitude occurs because of the vast array of life options that the chart can offer, and there is the idea that an astrologer may somehow influence the future of the child by proclaiming a self-fulfilling prophecy. These may be valid arguments. We refer to the time when a planet passes over its natal position as a return. This occurs when a planet goes back to its birth place in the zodiac measured in degrees and minutes. The planet has made a complete pass through 360° and once more assumes its position at birth. This takes place at different times for each planet due to their various orbital periods. The more well-known returns are the solar return, when the Sun reaches its natal position experienced every year near your birthday, and the Saturn return that happens around age twenty-nine as Saturn passes over its natal position in your chart. Pluto and Neptune will not return by orbit because they take more than a lifetime to transit through the whole zodiac. Pluto takes 248 years and Neptune takes 164 years to orbit the Sun. Uranus will make a return for everyone after eighty-four years. In the early weeks and months of life the outer planets can go back to their natal position. This may happens in two instances; when an outer planet is retrograde at birth it will at some point station direct and again pass over the natal degree, and when an outer planet is direct and stations retrograde soon after birth thus going back over the birth position when it will station, move direct, and pass once more over the birth degree, in this case the planet makes two contacts to the natal placement. Although these early outer planets are transiting their natal position, I hesitate to call them a return in the strict sense of the word (as they have not completed a full orbit of the Sun) nevertheless they have gone back to their birth position and for the purposes of this article we will refer to them as returns. Only some people will receive a postnatal outer planetary return. It depends where the planets were in their direct/retrograde cycle when you were born. This year Pluto, Neptune, and Uranus are passing through the zodiac signs of Capricorn, Pisces, and Aries respectively. The three transpersonal planets will be either moving direct or retrograde. Their retrograde station happens once each year around the time when the angle with the Sun develops towards the waxing trine. If your birthday (in any year) was immediately after a direct station of Pluto, or Pluto is within one degree after the station point in your birth chart, you will not receive any returns from Pluto immediately after birth. For example, anyone born between the date when Pluto station direct September 15, 2015 at 12° 55’ Capricorn and November 9, 2015 will not get a return from Pluto. If you were born at the Neptune direct station or within two degrees of the station you will not experience a Neptune postnatal return. If your birthday was at a Uranus direct station or within four degrees of the station you will not experience a Uranus postnatal return. It is only during the first two years of life that you may experience a Pluto, Neptune or Uranus return. If a planet is retrograde at birth it will station direct and cross back over the natal degree sometime in the first year. However, if the planet is direct at birth you have to crack open the ephemeris or consult a graphic ephemeris to check if it will station retrograde soon after birth and whether it will it move as far back in the sign as the natal placement. If so, you know it will transit back over its birth position at least twice, once retrograde and once direct. Use an orb of 30’ for transits both applying and separating. If you were born at, or in 30’ orb of, a station of an outer planet then the meaning of that planet will be experienced longer, initially by its position in the birth chart, and by transit as it hovers in orb of the birth position near the station. This is a special case as the transit may not reapply to the birth position it just takes longer to separate from the birth conjunction. Outer planets can linger in orb for various times after birth, Pluto for up to forty-eight days, Neptune for as long as forty-four days and Uranus for a maximum of thirty-one days. As the transiting planet moves towards the exact aspect the situation unfolds in line with the potentials. This is shown by the transiting planet, the natal planet or point being aspected, the area of life suggested by the house and any other aspects to the planet within the chart. When the transiting planet moves back over the natal degree, the situation or issue that was aired at the first pass is reviewed as new information comes to light. It is during this time that changes and adjustments can still be made. In the retrograde pass the transit suggests that the situation is still being developed and is in flux. During the final direct pass the transit potential has culminated and the issue will fade away as the planet moves out of orb, although changes or shifts in consciousness that occurred during the transit will persist. Occasionally Pluto and Neptune will make a five-pass transit to a degree in the zodiac. For a five-pass transit the reprocessing of review (first retrograde pass) and resolution (second direct pass) are repeated as passes four (second retrograde pass) and five (third direct pass). Every chart is different and some planets will have more influence on you than another. If you have Pisces rising then Neptune will be an important planet. Transits from Neptune will have a greater affect than they would have on someone without Pisces prominent in their chart. Not all transit potentials will come into tangible fruition every time a contact occurs. Often they are experienced as a subtle shift in perception. Below is a selection of possible outcomes, with particular reference to the newborn baby, during the early years of life. Some items or situations on the list below may seem highly unlikely, but in the interest of good astrology, it is best to bear in mind all the planetary meanings so to present a well-rounded forecast. It is best to constantly expand the possible scenarios in forecasting work. Pluto may cross a zodiac degree up to five times. For example, on March 2, 2015 Pluto will be at 15° Capricorn moving direct. It will station retrograde and cross back over this degree for the second time on June 2, 2015. Pluto again moves forward to transit 15° Capricorn on December 31, 2015 for the third time. It makes its fourth pass on September 8, 2016 and the fifth and final contact to 15° Capricorn will be on October 14, 2016. These are the dates for the exact hits and in reality there will be a period around these dates when Pluto is in orb of the exact conjunction that you will note. This five pass transit pattern provides the potential for a postnatal return from Pluto to occur up to nineteen months after birth for someone born at the first contact to 15° Capricorn on March 2, 2015. Bear in mind that this extended Pluto transit potential will not happen for everyone as it all depends on which day you were born and Pluto’s position in relationship to the Sun in your chart which determines where Pluto is in its direct or retrograde cycle. When Pluto revisits its birth degree it may be a critical time in the life of a newborn. Pluto transits will be modified depending on its placement in the birth chart. For an example with reference to planetary dignities, Pluto in the natal eighth house is in accidental dignity (its natural house of rulership), and therefore is well-placed by house. This position suggests at the exact conjunction that any recovery or transformation will be great like the phoenix rising from the ashes. A natal Pluto in the second house (its natural house of detriment) may indicate that if something unforeseen does indeed occur at the transit that financial strain may surround the situation. Not all Pluto transits are bad news and there can be an upside through the transformative urges of Pluto, but in the delicate early weeks of life to pay attention to physical shifts in the new baby is key. Neptune may cross a zodiac degree five times. The time from a first contact (as in the birth chart) to the final conjunction can be several months. On May 9, 2015 Neptune is at 09°30’ Pisces moving direct. Neptune will station retrograde and pass 09°30’ for the second time on July 16, 2015 and then station retrograde and retrace its steps returning to the same zodiacal position of 09°30’ Pisces for the third time on February 29, 2016. Once more stationing retrograde and passing back over 09°30’ on October 19, 2016 to make its final forward pass of 09°30’ on December 20, 2016. This suggests that a child born during May 2015 can be revisited by transiting Neptune with a conjunction as a postnatal Neptune return when the child is up to nineteen months old. Uranus may make one or three passes through a sign degree in a chart. On very rare occasions it can make five exact contact but is often in orb of the perfection. It again depends on the birth date. On May 24, 2015 Uranus will be at 19° Aries moving direct. It will station retrograde and Uranus will again arrive at 19° Aries on September 29, 2015 to make the final pass to 19° Aries on March 14, 2016. This means that Uranus can potentially take up to ten months after birth to conjoin a specific degree in a natal chart affecting the child with a Uranus conjunct Uranus aspect. These are just some of the possible scenarios and certainly each chart and every child is different. A conjunction is usually viewed as a positive aspect. It makes a strong statement in any transit chart as the energies of the transiting planet are brought to the natal chart. Post-natal outer transits can contain special potential because they are effectively returns or in other words they reinforce the message the outer planet already has in the natal chart. As the conjunction becomes exact it stimulates all the natal aspects from that planet that are in the natal chart. It is like a recalibrating of the planet’s message for the individual. If you regularly work with babies’ and children’s charts then if you like you can apply these ideas. If there is a transit it can be used for both improvement or tension and clearly these interpretations can be applied to both good and difficult situations. Go back to your own chart. if possible ask your mother if you were ill after birth or needed oxygen etc. Check in the ephemeris for your early outer transits and see what your transpersonal planetary returns happened. If you have children or grandchildren check their charts for any post-natal outer transits. This is great research because you will have specific, on-the-spot knowledge as you bore witness to situations that may have arisen in their early weeks and months. You can take this technique a step further and consider the other planets as they will no doubt make their returns in the early days and months of the infant’s life. For Neptune and Pluto the first two years are the only time in life that you may experience an exact conjunction from the two outer planets and there has to be a way to make the most of them. If you are reading this article then it is too late for you to use this particular narrow focus prediction method on your own chart. You have to look to the soon-to-be-born and those very young children to discover the true potential of these powerful aspects and the changes they may bring to a infants’ chart. If there are planetary transit returns in the first weeks, it will guide you to look for the same contact from the secondary progressions as the postnatal transit conjunction will make a progressed conjunction to their natal positions later in the child’s early years. A progressed outer planet conjunction to its own place will occur if there was a postnatal transit to its own place. Trends, such as those that developed at the very early postnatal transit, will again be brought forward at the secondary progressed conjunction. When you bring the two dynamic forecast techniques of transits and secondary progressions together you can develop a well-rounded prediction story. Much of that which is discussed here needs to woven into a fuller forecast picture. It is not advisable to focus in on one specific transit to announce a fact. Use all the techniques available when you make your predictions. Take your time and develop a rich forecast story for those critical early years. Most of all keep an open mind.